A beautiful verrine for those who want to spend Valentine’s day with their lover (or not 🙂 ) in the kitchen. 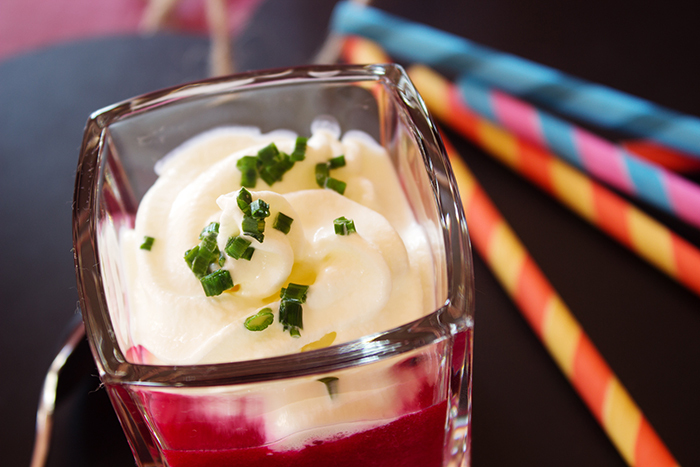 A delicious beetroot gazpacho verrine with goat cheese whipped cream. This is the opportunity to make plenty of recipes, with a romantic taste ! 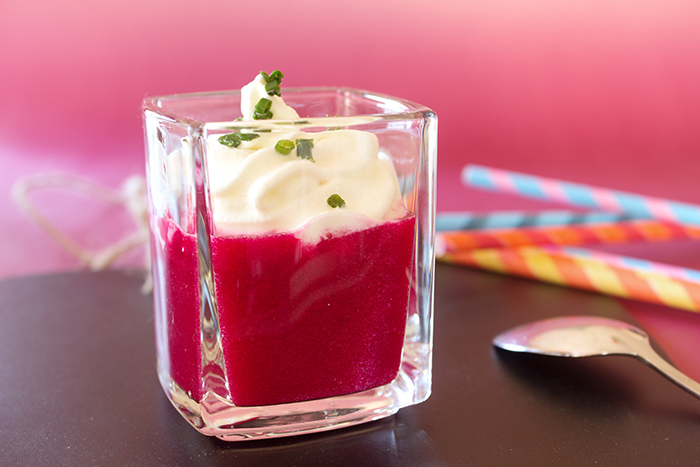 You partner, friends or family, they will love this beetroot gazpacho verrine with goat cheese whipped cream. This is the perfect verrine to celebrate and I truly love the color ! So cute don’t you think ? 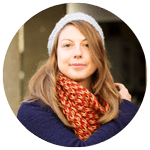 Hope you will have a great week-end ! Heat full fat cream, fresh goat cheese, pepper and salt in a medium saucepan until cheese melts. Pass through a sieve and fill in your cream whipper. Refrigerate at least two hours. Peel and slice shallots. 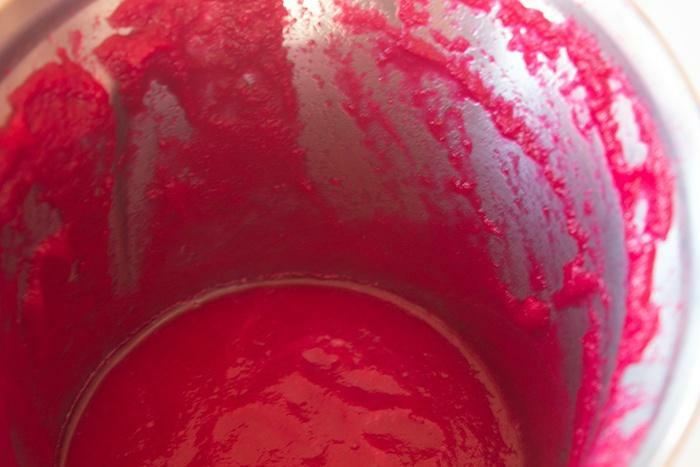 Dice cooked beets. Peel, seed and dice apple. Put all ingredients in your electric blender. Add salt, pepper, water and apple juice. Blend until you get a homogeneous gazpacho. Sieve if needed. Fill in your verrine with the beet gazpacho. Add the goat cheese cream on top and spread some chives to decorate. 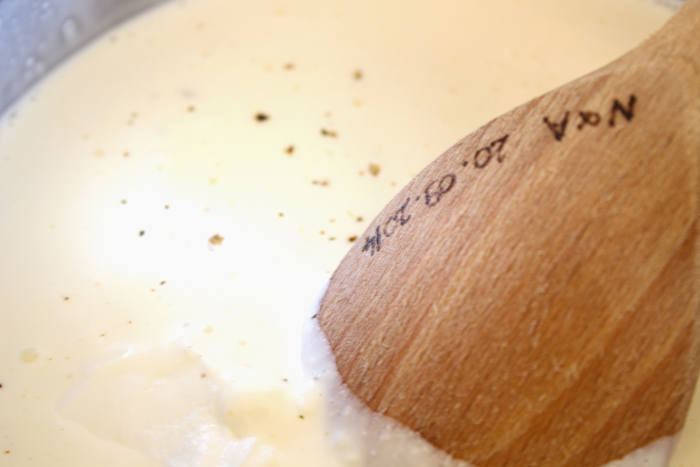 To realize this recipe without cream whipper, mix the goat cheese with a spatula. 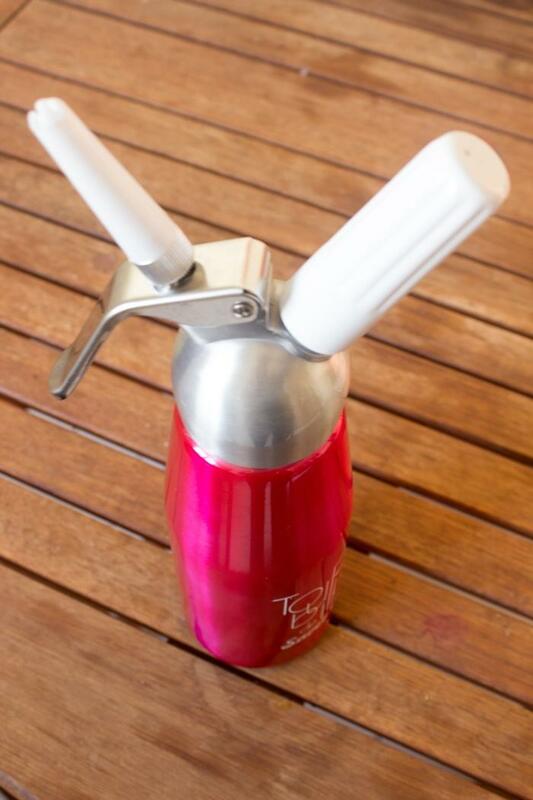 Whip the full fat cream until you obtain a whipped cream. Add the goat cheese and some salt and pepper. Made this as an appetizer for Valentines’ day. Excellent ! and it doesn’t hurt that my wife loves beets. For flavor, I added a pinch or two of garlic salt to the goat cheese before adding whip cream. Great recipe, thanks! Oh, and it IS difficult to revise into USA measurements, but doable. Thank you very much Norman. I am thrilled that your wife enjoyed it ! Yes, that tastes even better with garlic 🙂 !